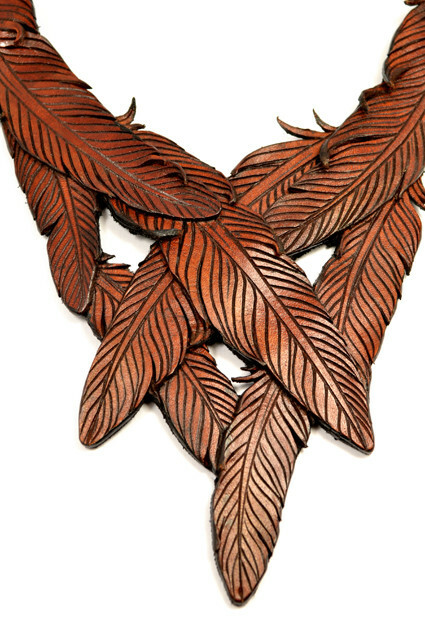 This neckpiece is one of a kind. A true statement when worn. 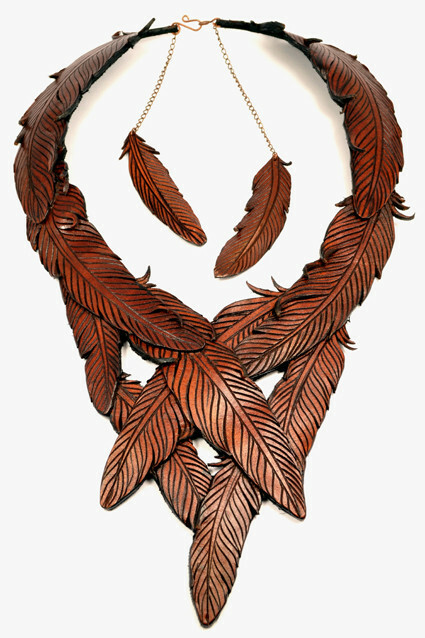 Each feather is individually hand carved out of vegetable-tanned natural russet leather then hand dyed and sealed. The feathers have been carefully selected and layered upon each other, creating an organic, yet balanced look. The clasp is made of copper wire and adorned with two hanging feathers. The entire neckpiece has been lined with black suede for comfort.